When I still had the webstore, one of the first line of products we started carrying was from Every Man Jack (EMJ). We had the shave creams in a tube, the face washes, and the face scrubs. This was still when their tubes were available in either white or blue and not the wood-grained patterned tubes. 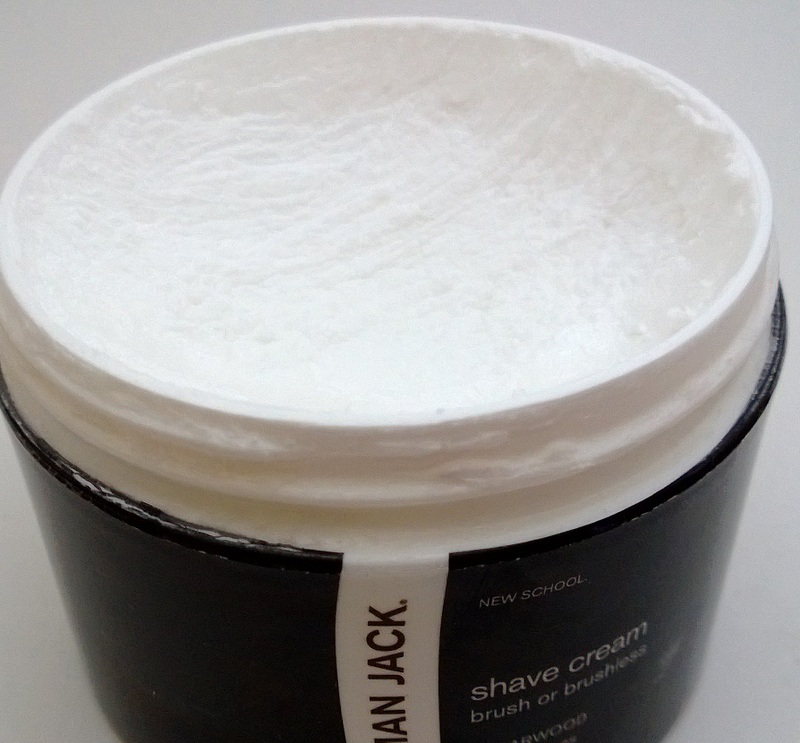 The Every Man Jack Premium Shave line was not yet available would come a few months later. At the time, they only had the unscented and Signature Mint varieties. 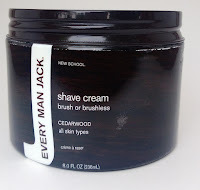 So, when Every Man Jack came out with a cedarwood scented shaving cream I was intrigued. For one, their products were only available in tubes and the cylindrical jar this shaving cream was packed in was more in line with the bowls or tins that many of the artisan soaps are available in. The other reason was the cedarwood scent. When I first opened it and put my nose to the jar I got a nice whiff of this pleasant, masculine, and woodsy aroma. After I pulled the jar away to put the cap back on I immediately brought it to my nose again before doing so because I, personally, found it that appealing. I got a decent lather, but needed more cream to make it work. The Every Man Jack Cedarwood shaving cream feels a bit denser than, say, Taylor of Old Bond Street or the Derby Shaving Cream. Performance-wise, I found it to be a bit mixed. While I got a decent lather; I needed a little more product to make it work. With TOBS or Derby I would need an almond sized amount with the EMJ I needed twice that. I did feel that the shaving cream had a decent slickness and it did a good job protecting my skin. I had no irritation and didn’t experience any nicks and cuts. I’ve had this in the den for some time and Every Man Jack has since redesigned the packaging. 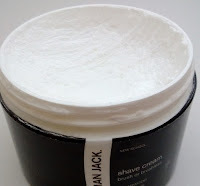 Overall, I found it to performed similar to the other Every Man Jack shaving creams. It does the job. But with traditional wet shaving, I want to make it less of a job and add a little more enjoyment to the experience even if it’s just a little fluffier of a lather. Personally, I really like the cedarwood scent. But it, regrettably, didn’t meet the lathering needs. Fortunately, for me, Every Man Jack has a Cedarwood Bodywash. 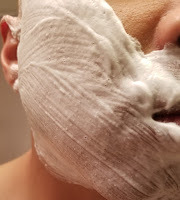 TheShavingEdge.com is a blog to share our wet shaving experiences … good and bad. 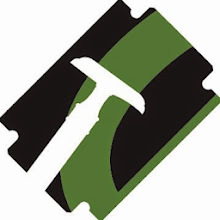 We were an online wet shaving store for a number of years and while the store may no longer exist, we continue as a blog in the hopes that you will be entertained, engaged, and that you may find helpful information. How I Learned To Shave – How Did You?